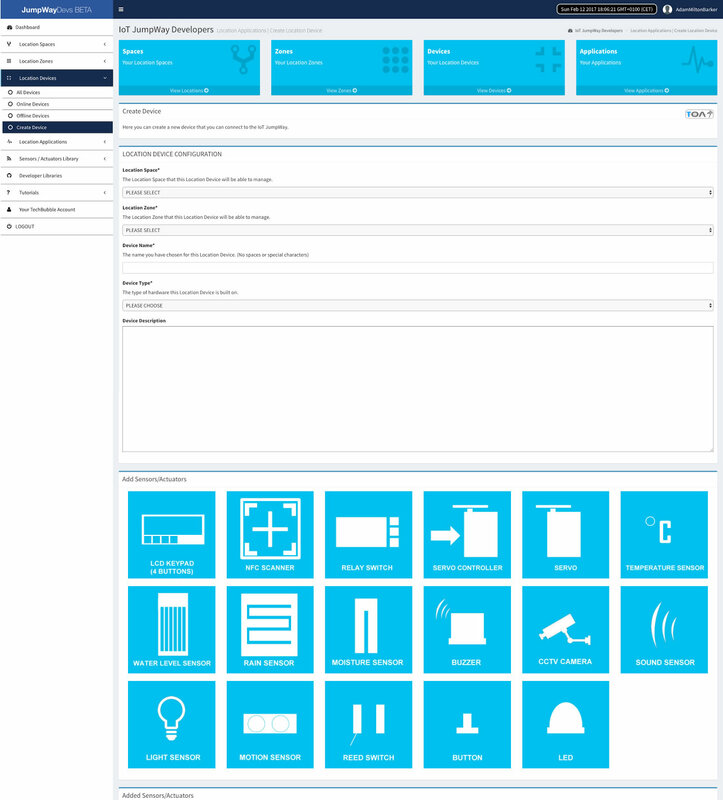 Here you will find a sample application for TASS PVL, a Computer Vision security system using Intel® Computer Vision SDK and an Intel® Edison connected to the Internet of Things via TechBubble Technologies IoT JumpWay. Once you understand how it works you are free to modify the app accordingly. A Windows Computer Vision application. Windows PC with 6th Generation Intel® Core™ Processors with Intel® Iris® Pro Graphics and HD Graphics, In our example we are using an Intel® NUC NUC7i7BNH with Intel® OPtane Memory. Once installed, edit the MQTTAsync.h and MQTTClient.h files in C:\src\vcpkg\installed\x64-windows\include. Plug in your webcam and make sure that you have all of the relevant drivers installed for your machine to recognise the device. 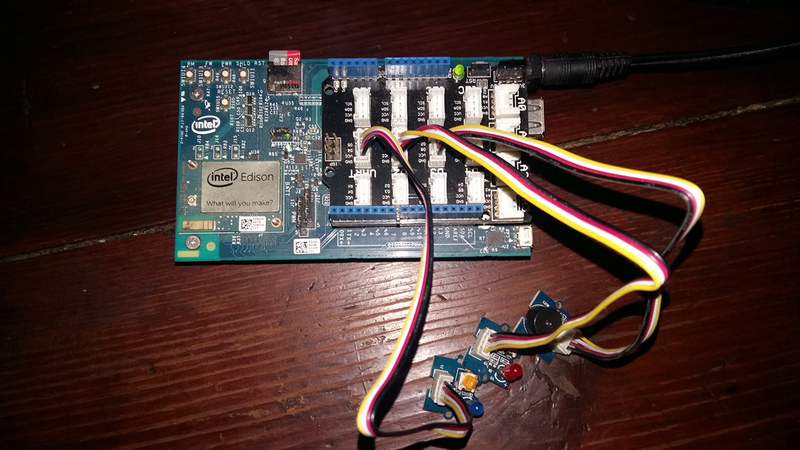 You will need to clone this repository to a location on your Intel® Edison. Navigate to the directory you would like to download it to and issue the following command, or use the Windows GitHub GUI. Setup an IoT JumpWay Location Device for TASS PVL, ensuring you set up you camera node,as you will need the ID of the camera for the project to work. Once your create your device, make sure you note the MQTT username and password, the device ID and device name exactly, you will also need the zone and location ID. You will need to edit your device and add the rules that will allow it to communicate autonomously with the Intel Edison, but for now, these are the only steps that need doing at this point. Follow the TechBubble Technologies IoT JumpWay Developer Program (BETA) Location Device Doc to set up your devices. Locate and update the following code in TASS-PVL-Windows-Console.cpp, and replace with your device settings. You may also need to edit this value, this allows the application to connect to your webcam, generally the value is either 1 or 0, in my case it is 1 which is the default setting in the provided application. If you receive an error on startup that the application cannot connect to your camera, you will need to modify this setting and ensure that you have installed all the required drivers for your camera. If you installed the Intel® Computer Vision SDK to any directory other than the default (C:\Intel\CV SDK) you will need to update the Additional Include Directories & Library Directories settings to reflect your installed location. The next step is to set up your Intel® Edison so that TASS PVL can communicate with it via the IoT JumpWay. For this, we already created a tutorial, the IoT JumpWay Intel® Edison Dev Kit IoT Alarm, that will guide you through this process. The only difference is that you do not need to set up the Python commands application, as in this project, TASS PVL will replace the Python commands application, to save time, please only follow the steps for the Intel® Edison device Node JS application. Once you have completed that tutorial and have your device setup, return he to complete the final integration steps. When a known person is identified, turn on the blue LED. When an unknown person is identified, turn on the red LED. When an unknown person is identified, turn on the buzzer. The events are going be triggered by warning messages sent from TASS PVL, so in the On Event Of drop down, select WARNING. Then you need to select the camera node you added to the TASS PVL device, as this is the sensor that the warning will come from. Next choose RECOGNISED in the With Warning Of, which will mean that the rule will be triggered when the IoT JumpWay receives a warning message that a known person has been identified, then select the Send Device Command for the Take The Following Action section, choose the Intel® Edison as the device, the blue LED as the sensor, toggle as the action and on as the command. This will then tell the Edison to turn on the blue light in the event of a known person being detected. You should repeat these steps for the red LED and buzzer for the event of NOT RECOGNISED to handle events where an intruder, or unknown person is identified. And that is it, if you have followed the tutorials correctly, you are now ready to fire up your new security system. Run the Windows console application to begin, and you will see the console window open up and a live stream of your camera, complete with bounding box and emotion status if happy. To train a known user, you simply need them to stand in front of the camera and click R to register their face, and S to save. Please feel free to create issues for bugs and general issues you come across whilst using the IoT JumpWay Intel® Examples. You may also use the issues area to ask for general help whilst using the IoT JumpWay Intel® Examples in your IoT projects.